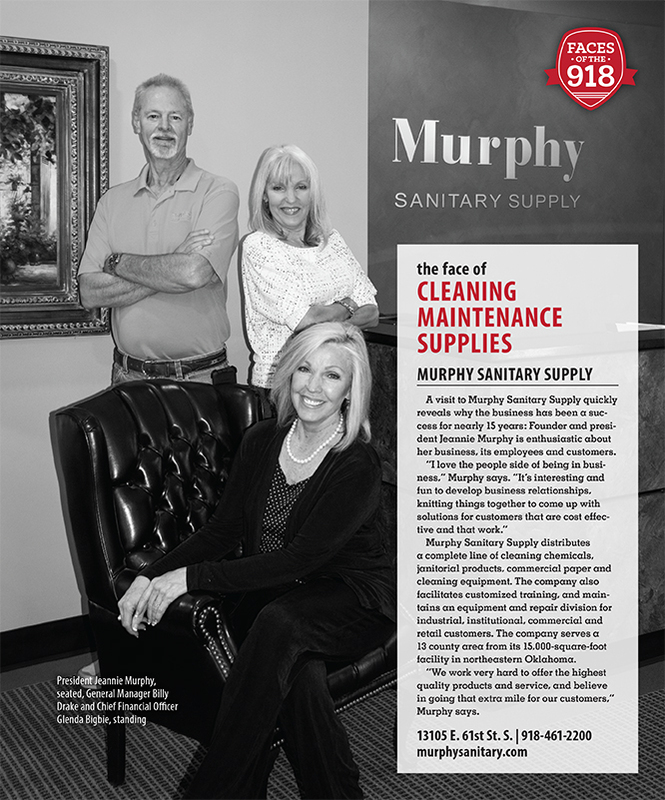 Murphy Sanitary Supply is a regional distributor of cleaning and maintenance supplies throughout northeastern Oklahoma area. Founded in Tulsa in 2002, the Oklahoma-owned company has an area of service which encompasses the metropolitan area and 13 surrounding counties in northeastern Oklahoma covering a 240 mile radius. 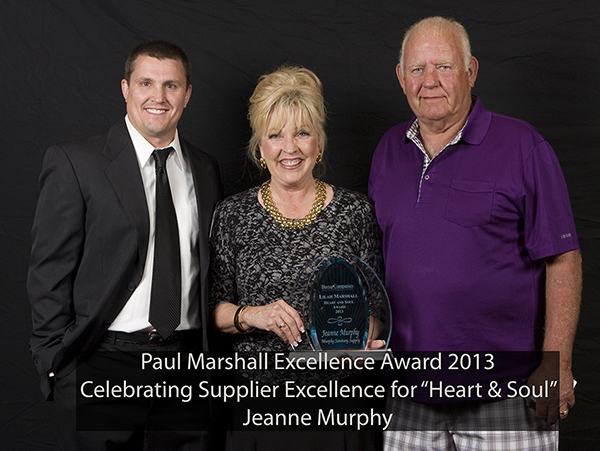 The Heart and Soul Award was awarded to Murphy Sanitary Supply in 2013 for outstanding customer service. Pictured are Jeff Hinds with Bama Companies, Jeannie Murphy and Frank Davenport with Bama Companies. 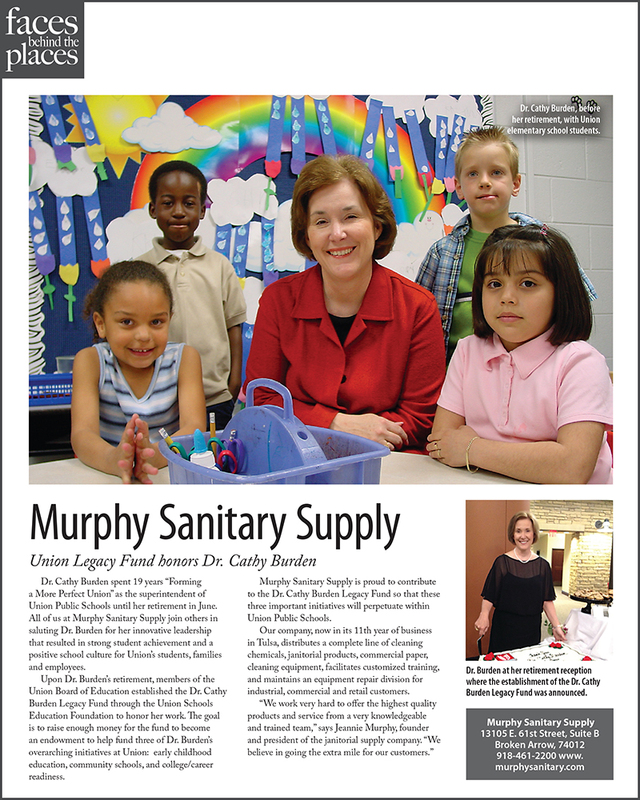 Murphy contributes to a number of local causes and scholarship foundations.